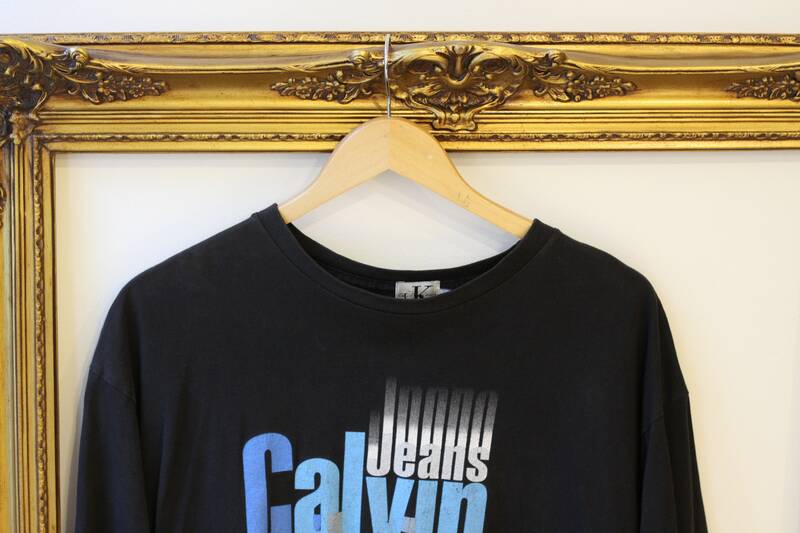 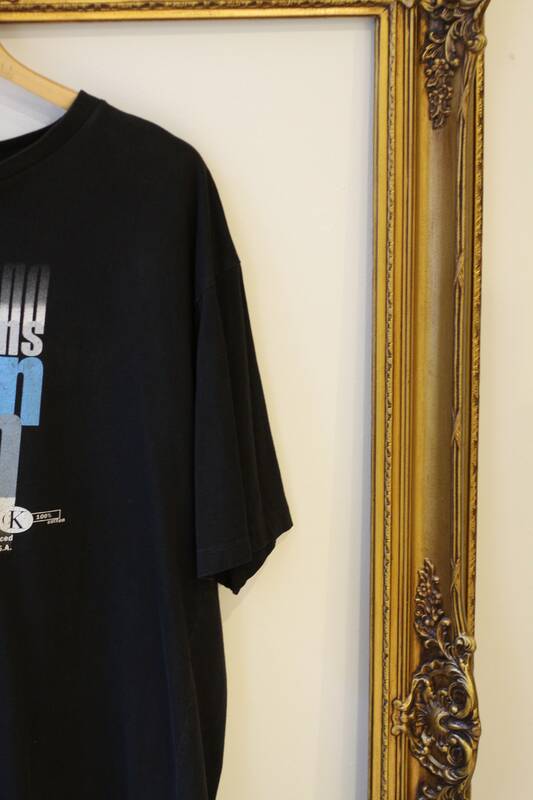 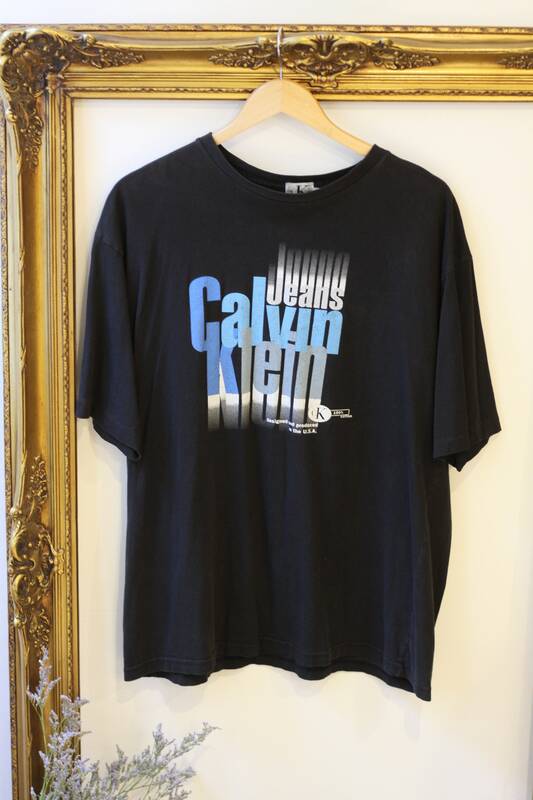 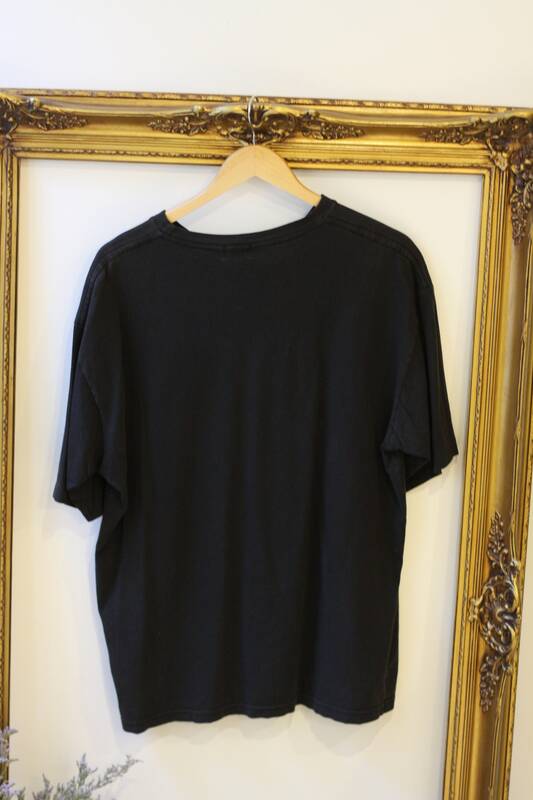 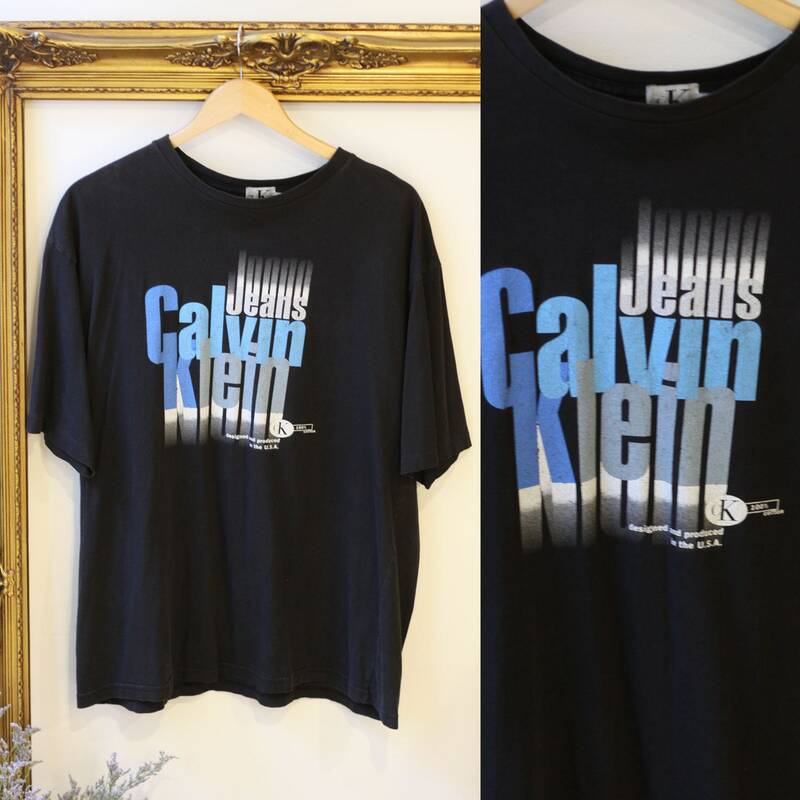 1990s black and blue Calvin Klein logo t-shirt. 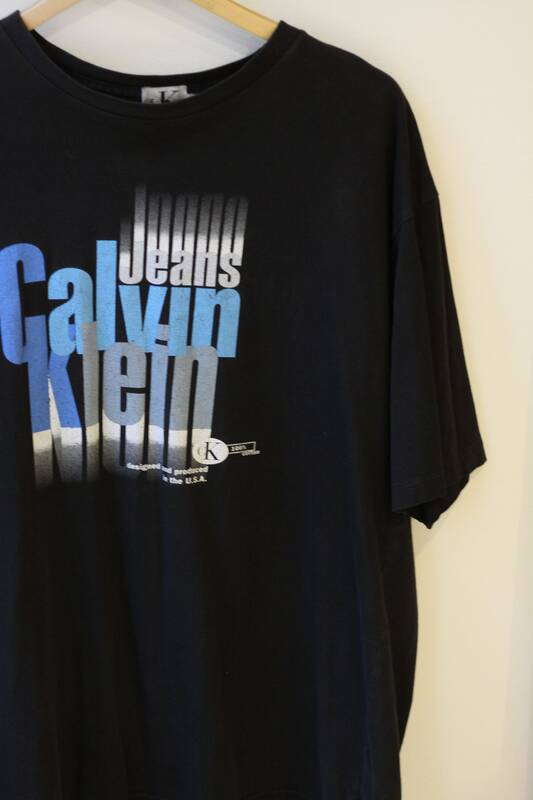 Cotton has been perfectly worn. 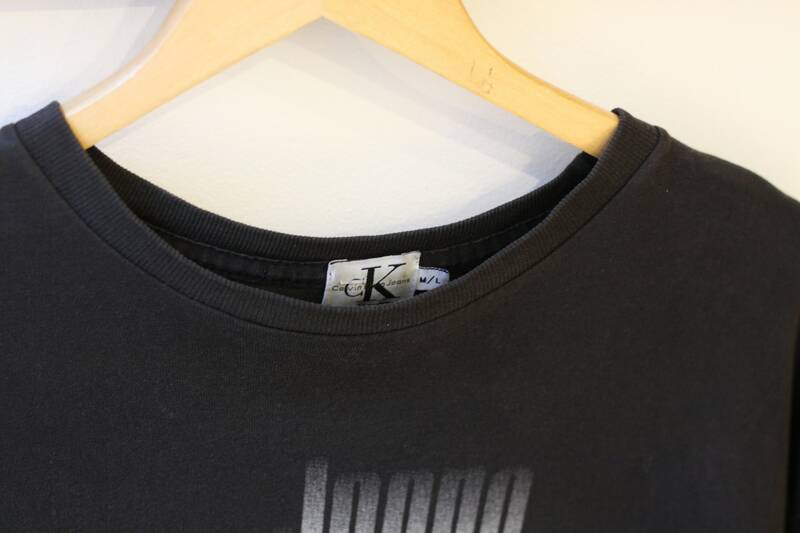 Screen print on the front of the t-shirt is in good condition with minimal cracks in it.